Jack Davenport Sweeping Services offers over three decades of providing quality power sweeping and related services. 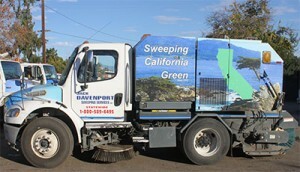 Jack Davenport Sweeping Services, Inc. currently services cities in five different counties. We have spent over 30 years refining and perfecting our municipal operations while continually implementing the latest advances in technology and environmental protection. Our large fleet of PM10-compliant machines, GPS tracking technology, and experienced staff of highly trained and experienced operators allow us to maintain our position at the forefront of our field. 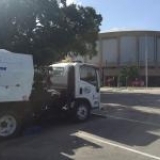 Are the largest, most experienced street and parking lot sweeping business in Kern County. 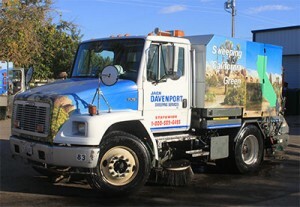 Are the leading provider of municipal, commercial, and residential street sweeping, power washing, and day porter services in Kern, Monterey, San Benito, Sacramento, and Santa Cruz Counties. Have a modern fleet of 30 broom and regenerative air PM10 and Rule 1186 certified street sweepers to protect the environment and follow EPA and CARB mandates. Are a California SBE certified contractor. Are proactive in securing the latest technology to protect the environment and service our clients efficiently. Employ 25 skilled operators, mechanics, and office personnel. Are able to provide service for prevailing wage jobs. Offer on-call and one-time services. Are family owned and operated. Have safety training programs for all employees. Jack Davenport Sweeping Services, Inc. services retail, industrial, construction and residential clients. We service over fifty residential Homeowners Associations comprised of thousands of households and hundreds of curb miles of streets. Utilizing GPS tracking and PM10-compliant, reliable, quiet machines, we will ensure that your community looks its best while at the same time ensuring that storm drains remain free of obstruction. We provide a variety of services for commercial property managers, retail shopping centers, industrial facilities, and construction projects, as well as providing on call services and track out services. 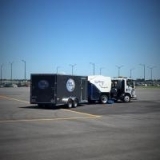 We are able to quietly and efficiently clean any type of paved service in virtually any setting. For a no-obligation professional assessment of your needs, please call or email us today!